I have been working on getting all Warhammer Fantasy Battle lore material displayed on one diagram, but I need a bit of help. -The call of Chaos. It is as if the book didn’t exist for the internet! 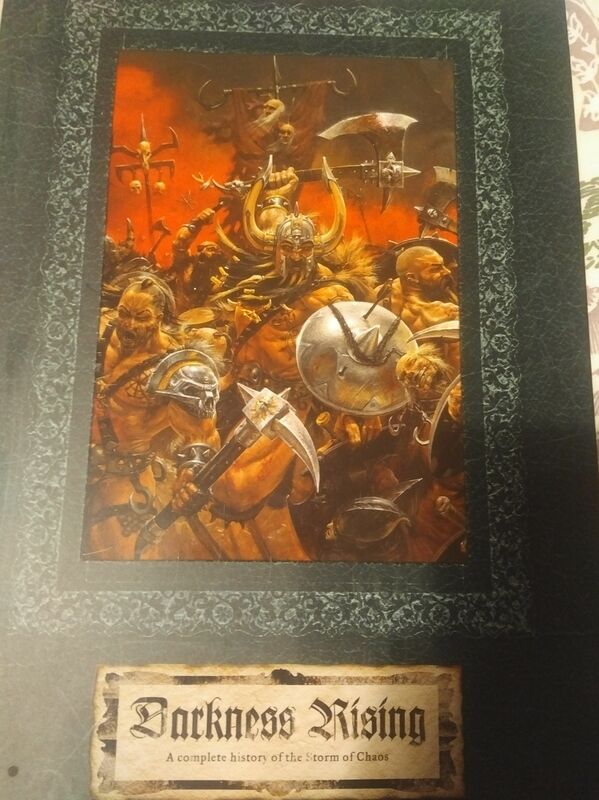 It is a gathering of comics from Warhammer Monthly, but impossible to find what’s inside. Does anyone know? -Chaos Rising, Tales from the Storm of Chaos. Same problem here. I cannot find a reliable source to know what tales it is made of. -Tales of the ten tailed cat. Anyone know the spreading of the stories between book 1 & 2? - A Wolf in Sheep Clothing (inferno 9). The story seems to be part of the” Hammer of Ulric” series (same character and theme) but isn’t part of the book (pic below). Anyone knows what is going on with this? -Fell Cargo. I haven’t read it yet, so I have problem understanding if the 4 “Fell cargo” stories from Inferno magazines are extra to the “Fell Cargo” book that Black Library sells now, or if they are melted together. In a more general way, if you see mistakes, please let me know. I hope you will enjoy this. It took me a lifetime to gather. Is Darkness Rising the source book? 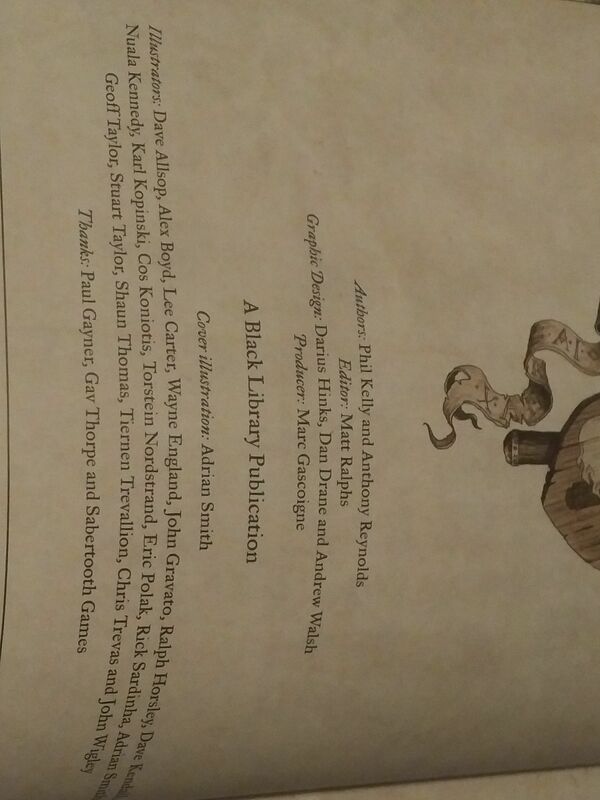 I have a copy, but it's not a bunch of stories, it's akin to the Xenology source book. Last edited by Rob P on Thu Nov 22, 2018 8:26 am, edited 1 time in total. 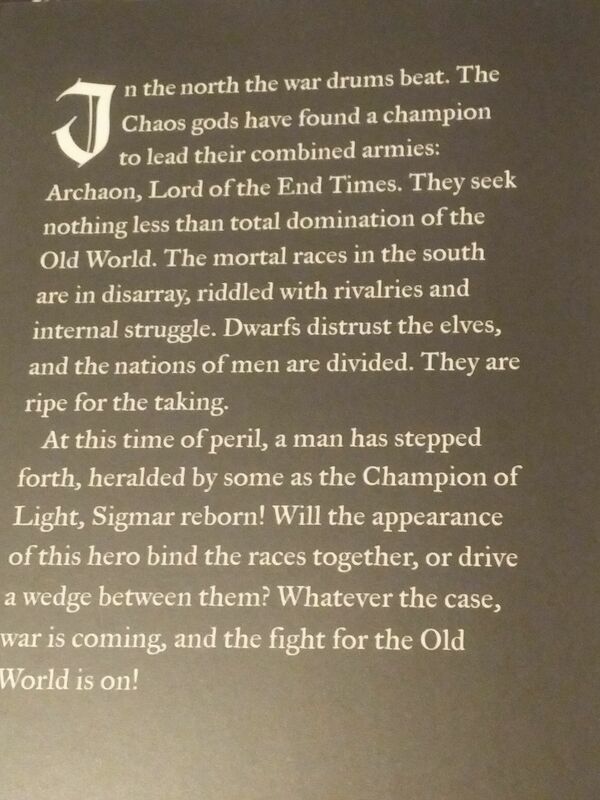 Well the name of the book is "Chaos rising - Tales from the storm of chaos". That lets me believe it must be made of several stories. EDIT: Sorry made a mistake with similar title. Ok, so you confirm it doesn't take stories elsewhere. Thanks for the info. would you mind sending me a picture of the summary page to validate the info? Thanks! 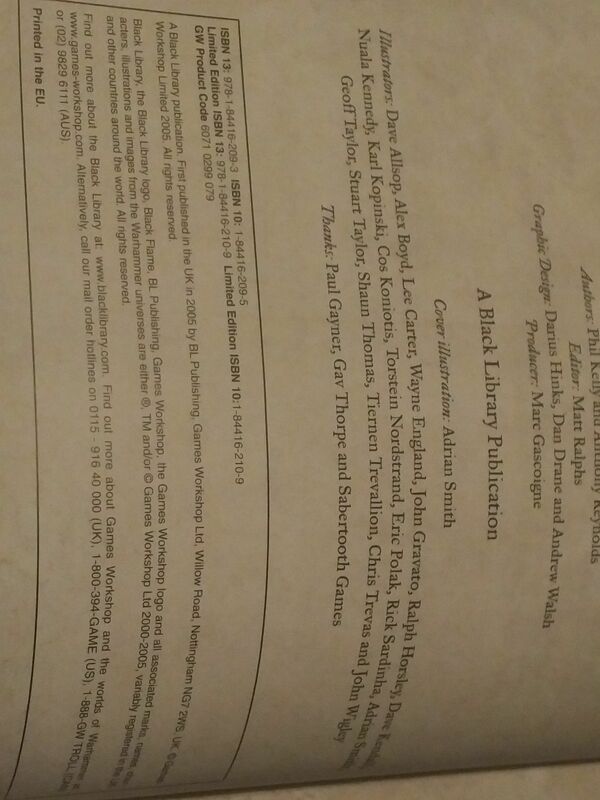 It doesn't have a back cover blurb or an index or contents page as it's written 'in-world'. I checked the link, but got a "page not available" error. 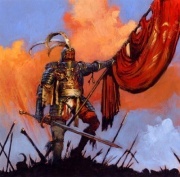 Out of interest, are you also including all the WFRP2 material?